Congratulations to John our new Member of the month - April - 2019. First registered on this board 02 October 2015 - 03:52 PM, 1294 days ago. They have posted 87 times with a total of 0.07 posts per day. Their profile has been visited 75 times. They have received 0 reputation points and 1 users rate their profile. 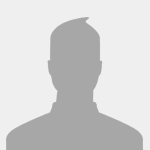 Right now they appear offline but we have seen him at this site around Apr 03 2019 08:42 AM. I have chosen John as the first MOTM due to his hard work and dedication over the last few months in developing TizenX. We truly admire your efforts and can't wait to see what you bring forth to the future of the server! You can find important announcements from the Administration team here. Follow the rules to avoid punishment! Put your say into future installments. Apply for a Staff position here. Ask your desired questions here. Reports & Appeals, Bug Reports, and General questions for Staff. Share your goals and achievements to the community! Provide guides for the community. Post TizenX related videos/screenshots here. Submit your ideas for the game. Post your offers to buy items here. Post your offers to sell items here. Post anything unrelated to TizenX here. Suggestion for the ring of wealth and skilling! Most members ever online in one day was 767, last accomplished on 06 Mar 2018.